Audio Frequency Induction Loop Systems (A.F.I.L.S) are used by hearing aid wearers to assist them to hear clearly in difficult acoustic environments e.g. churches, theatres, reception areas, etc. 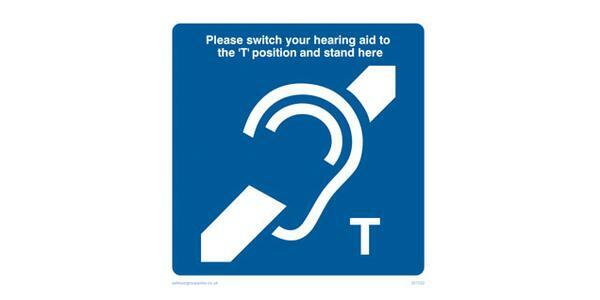 Induction loops replace the sound path between the signal sound and the hearing aid wearer with a magnetic field. The magnetic field is induced into the “telecoil” (hence the “T” position) which is featured on most hearing aids, and converted back to audio. When a hearing aid is switched to the “T” position the microphone on the hearing aid is disconnected, so the user simply hears what is fed into the induction loop system, without the background noise. In the UK, the installation of induction loop systems is governed by BS7594 (The Code of Practice for Audio-Frequency Induction Loop Systems) and EN60118-4 (Magnetic field strength in audio frequency induction loop systems for hearing aid purpose. In 2008 Paragon Data Services purchased Galloway Electronics Limited; a Hull based company with over 20 years experience of installing Hearing Induction Loop systems to a wide variety of different environments. Since 2008 Paragon Data Services have continued installing these systems for clients all over the UK across every different vertical market. Paragon Data Services Ltd can design, supply, install and service any induction loop system. We have installed systems in police custody suites, schools, colleges, universities, village halls, community centres, doctors surgeries, hospitals, churches, chapels, cathedrals, ticket counters, reception desks, theatres, museums, libraries, meeting rooms, boardrooms, council chambers and many other premises.